Former Public Administration Ministry Secretary J. Dadallage, who was transferred to the Postal Services and Muslim Religious Affairs Ministry last week, said he had sought a meeting with President Maithripala Sirisena to discuss the matters connected to his transfer. Speaking to the Daily News yesterday, he however said there had been no response so far to his appeal against the transfer or the meeting he had sought with the President. Dadallage said he intends to take up his matter with the President next week. Dadallage, while standing by his recent controversial comments over certain public officials against whom there are allegations of fraud and corruption, observed that what he said was true and does not need any correction. “Public officials do not become offenders just because they implement policy decisions of the government. They must be proven guilty before court. Until then, they can be interdicted, but again as per the Establishment Code they can be reinstated in the public service when it appears that they are not guilty,” he said. “That is what I was doing. For example, the officials charged in connection with the Sil Redi case, did not take those clothes home. It was the then President who took them. Then how can you say the officials were guilty?” he argued. Dadallage also expressed his intention for an early retirement, stating that he anyway has only seven months more to complete his retirement age. Asked on speculation that he was planning to enter politics, Dadallage said he has no interest in joining politics. “At a previous occasion when I was nominated the Public Administration Ministry Secretary when Minister John Seneviratne was the subject minister, some accused that I was a UNP supporter who often visited Sirikotha. Now some are trying to justify my transfer stating I held a discussion with former Minister Basil Rajapaksa. Both these speculations are untrue and baseless. 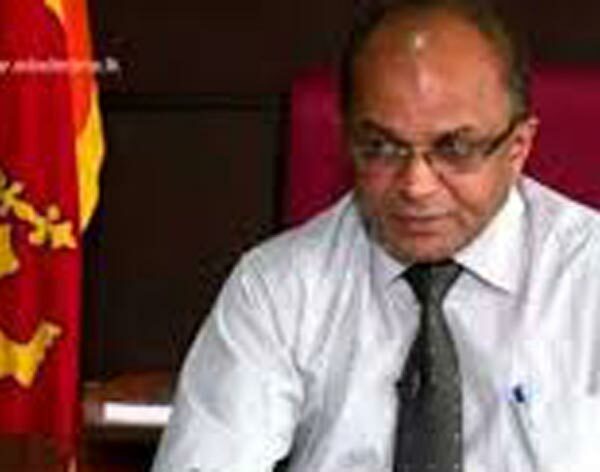 It is indeed I who pointed out the loopholes in the Divi Neguma programme to former Minister Rajapaska,” Dadallage said. He said the action against him, came in the wake of his recent nomination for the post of Secretary to the President. “Some had recommended me for the post and then all these conspiracies started,” he added. SriLanka is far behind Time.Due to improper Admin. Chip on there shoulders never realise the realitiy. Hello - Follow the protocol. Hello - Follow the protocol. How come you get an interview with Prez, Contact Secretary Abeykoon. This is how you work in the Ministry. You are just another Public Servant. Nobody is indispensable. You think you only know how to run the Ministry. Please go to new Ministry and deal with letter/envelopes.